Wiss 4 3/4'' Quick Clip Sharp Point stainless steel replaceable blades feature positive spring-action that re-opens blades for fast cutting, and a heavy duty contour design with an industrial PVC plastic handle for comfortable use. 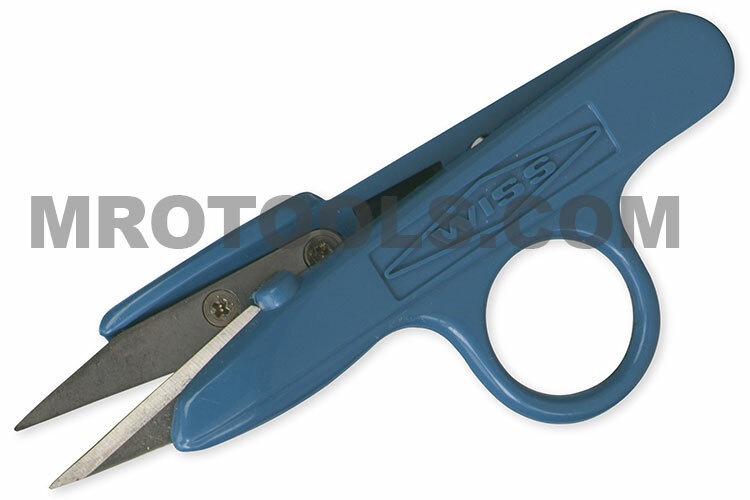 Wiss 4 3/4'' quick clip - blunt point stainless steel replaceable blades feature positive spring-action that re-opens blades for fast cutting, and a heavy duty contour design with an industrial PVC plastic handle for comfortable use. Wiss quick change comfort grip utility Knife is a retractable utility knife with 11 positions. This knife features a quick change blade release and reload, and the magazine blade storage holds 3 blades, not included. Wiss heavy duty retractable utility knife is great for DIY, professional and industrial uses. The Wiss knife comes with a metal case painted red for easy visibility, and features zinc die-cast construction for added durability. Wiss retractable utility knife is great for DIY, professional and industrial uses. This Wiss knife is a popular all-purpose retractable knife. Wiss fixed blade utility knife is great for DIY, professional and industrial uses. This knife is a heavy-duty, fixed blade knife that uses all standard replacement utility blades, and comes with a metal case painted red for easy visibility. Wiss auto-retracting utility knife features a blade that retracts automatically the moment it loses contact with the material being cut even if the user is still holding the blade slider forward in the open position. Wiss quick change folding utility knife features a blade that safely folds into the handle for compact size and easy storage. The blade changes quickly for easy and fast replacement.